What is the need of Responsive Web Design? The key purpose and the idea of responsive design is to have one website, but with different elements that respond differently when viewed on devices of different sizes i.e. A website should be mobile friendly as per Google recommendations. With the extreme rise in the use of mobile devices and increasing mobile users ,webmasters is doing themselves a huge disfavor if the website is not designed to respond and adjust to mobile screens and other devices like PC, tablets etc. Responsive website design is an modern approach for designing a website as it makes web pages render well on a variety of devices and window or different screen sizes. Even many web design and development companies recommends responsive web design so as to improve user experiences and also decreases the bounce rate. Recent work also considers the viewer proximity as part of the viewing context as an extension for responsive web design. Use the meta view-port tag to control the width and scaling of the browser’s view-port. Include width=device-width to match the screen’s width in device-independent pixels. Size content to the view-port. Content should not rely on a particular view-port width to render well. Use CSS media queries for responsiveness. Google clarifies that it prefers responsive website design as now a days 60-70% of users are active on mobile devices so it makes it more important to have a responsive pages on the website. But question arises, Why does Google prefer responsive web design? It’s more efficient for Google to crawl the site and then index and organize all the content that is online. Also, when there is just one website and URL, it’s much easier for users to share, engage and interact with the content on that site as compared to a site that has different pages for mobile and desktop users. Google is made for users – for the user who is searching the web. Now a days, users are accessing the webs highly with mobile devices, Google is performing accordingly. So this is the primary reason that Google is going to prefer those websites that meets the need of Google users. Google strongly recommends use of responsive web design to run on different devices and screen sizes, but the search engines took this recommendation a step further last year when they began adding a “Mobile Friendly” label to websites that used this approach when those sites appeared in a search results page on a mobile device. Google is effectively penalizing those websites which are not mobile friendly, making responsive web design an important factor in SEO (Search Engine Optimization) strategy plans! One of the best things about a responsive website is that this approach gives you the best chance to support newer devices and screens in the future. Responsive sites are fluid, scaling up or down as needed to best fit the screens being used to access the site. This means that as new devices hit the market with screen sizes unlike what we have seen before, our responsive websites will already be prepared to meet those new devices with a design and experience best suited to whatever screen sizes they throw at us. 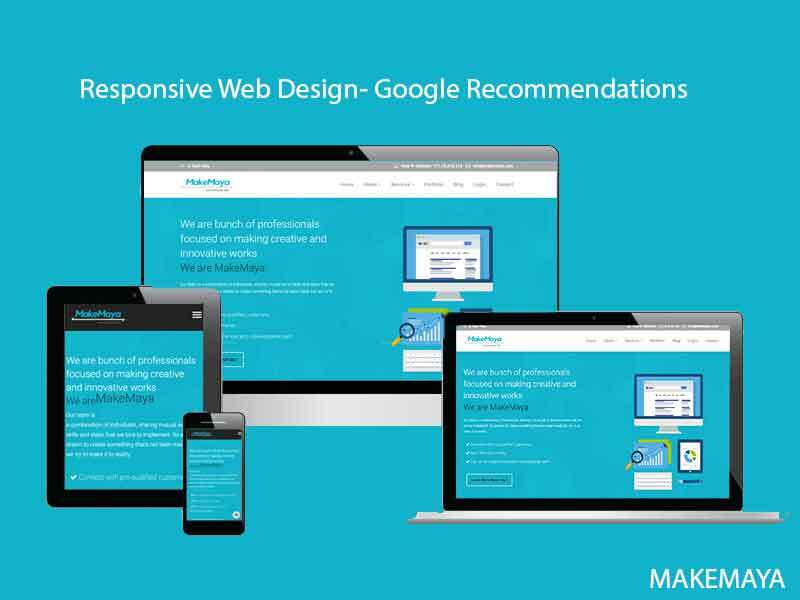 Responsive Web Design is the key to be in Google eyes and to meet its recommendations.